Drupal Commerce website development from the ecommerce experts at Peacock Carter. From our headquarters in Newcastle upon Tyne in the North East of England, we work with clients around the world to design, build, support and optimise Drupal Commerce websites. Looking for Drupal Commerce consultants and developers? We’re Peacock Carter, your next Drupal Commerce web design agency. 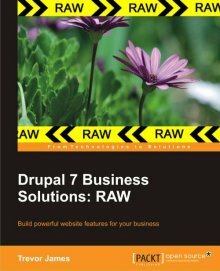 Built upon the popular Drupal content management system, Drupal Commerce is highly flexible and comes with a reasonable learning curve, which Peacock Carter can help you overcome. Peacock Carter have a wealth of Drupal expertise, with our director Richard Carter having acted as technical reviewer on a number of Drupal-related books including Apress’ Definitive Guide To Drupal 7 and Packt’s Drupal 7 Business Solutions, and as co-founders of the Drupal North East user group. To discuss your Drupal Commerce project, please contact us on +44(0)191 499 8456.